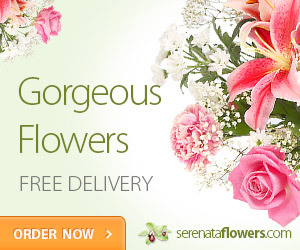 Serenata Flowers For Funerals Can Be Delivered Direct to Funeral Homes With FREE Next Day Courier Delivery. White is one of the most traditional choices for funerals, and if you’re looking for a stylish tribute, you can’t go wrong with this petite white lily sheaf. This funeral sheaf is made from fresh flowers, (Pink Roses, Lisianthus, Liatris, Staice, Carnations, Waxflower, Aspidistra, Eucaluptus & Bear Grass) hand tied and finished with a black satin ribbon. This funeral arrangement is approx 55cm long. Classic funeral wreath with yellow Roses, Carnations and Solidago flowers. This traditional wreath measures approximately 38 cm in diameter.